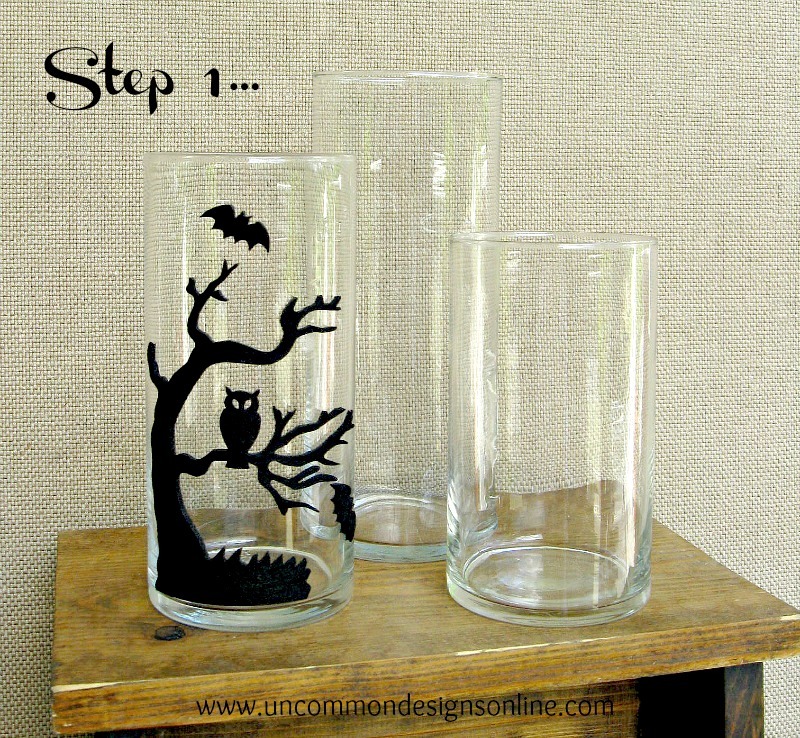 Today I’m so excited to introduce to you Bonnie & Trish from the blog Uncommon! I got to meet them during the last hour at Haven earlier this summer. We had been tweeting back and forth for a few days trying to find one another and we happened to find each other in the busy hallway going into the closing session! We shared hugs and chatted for a few minutes before we ran over to the closing session. I just adore Bonnie & Trish and knew that they had to be apart of our Halloween guest blogger series. They seriously put together some awesome and very creative projects! This one is too cool for words! 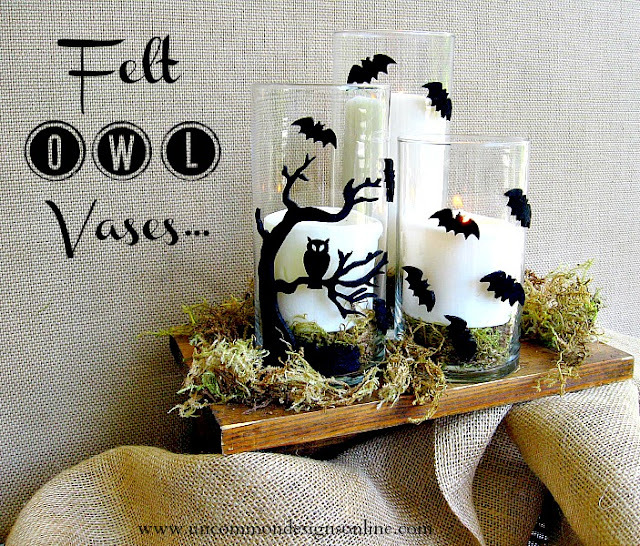 Now, the felt owl stickers came from the Halloween seasonal craft section of Hobby Lobby. They are precious! 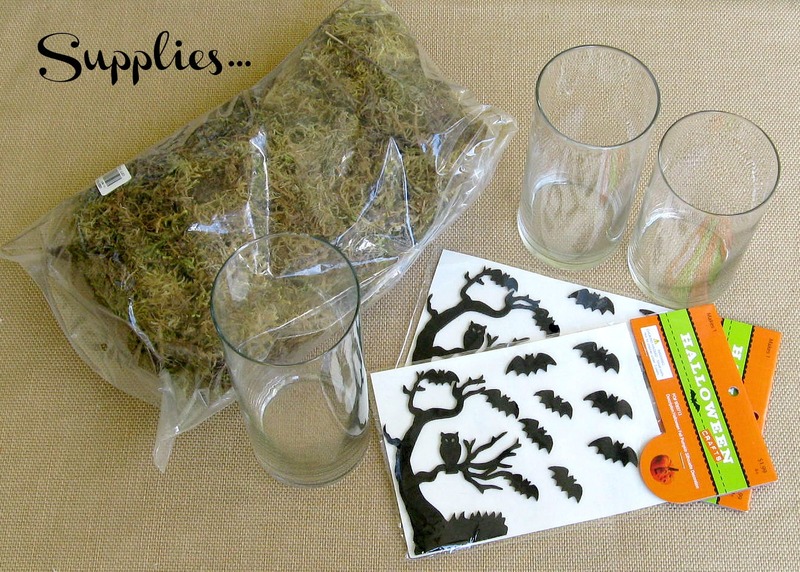 You could use other Halloween scene stickers that you can find in the scrapbooking section of a craft or scrapbooking store, the possibilities are endless! First, apply the largest sticker to the medium sized glass vase. We are going to recreate the scene on the sticker package. The three vases will work together almost like a puzzle! 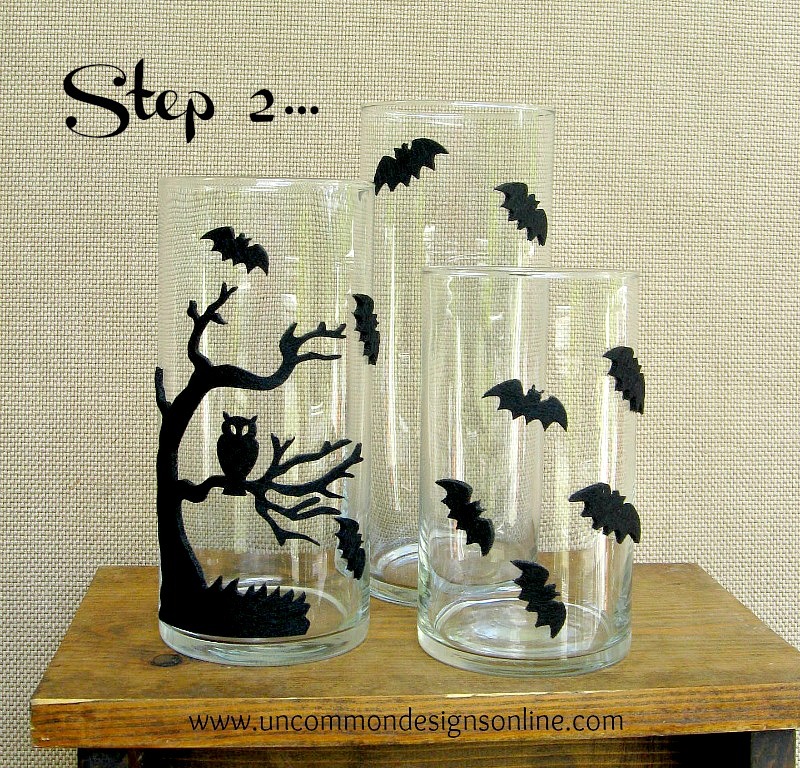 Next, apply the little bat stickers to the other two vases to mimic them flying away. See how all 3 of the vases work together to create a sweet little scene!?! Add some craft moss to the bottom of each vase. Gently place a cream flameless candle on top of the moss. I used one tall candle and two smaller ones. The moss helps ‘ground” your little scene you are creating! 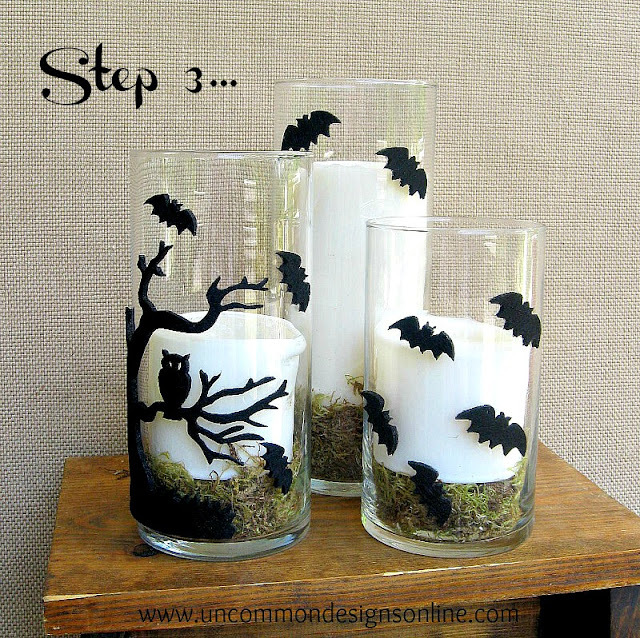 Finally, simply add some moss around the vases to help “nestle” them into their environment! I just love how these turned out! 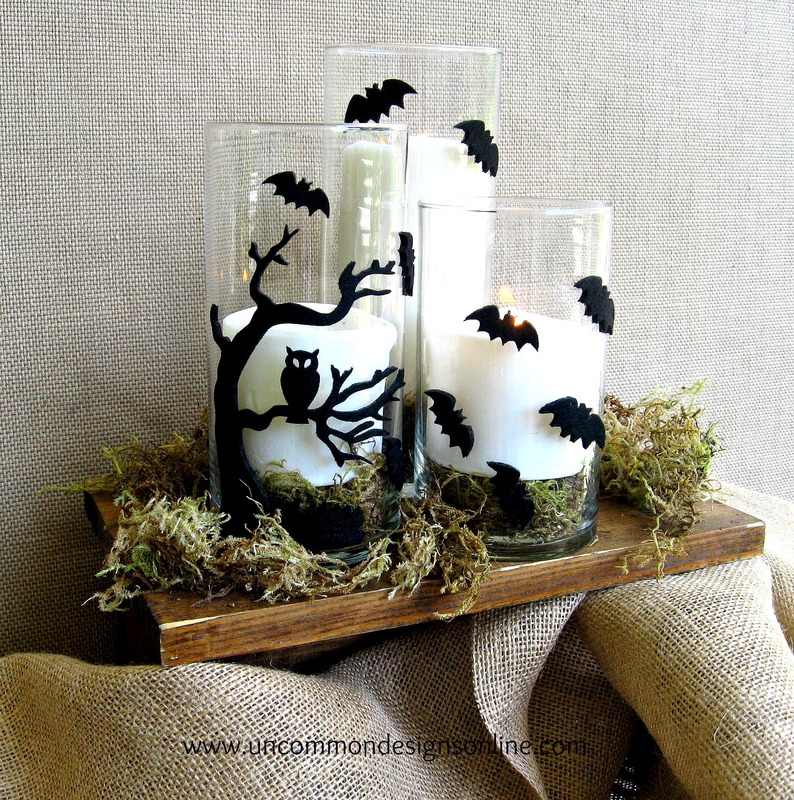 Are you ready for Halloween yet? 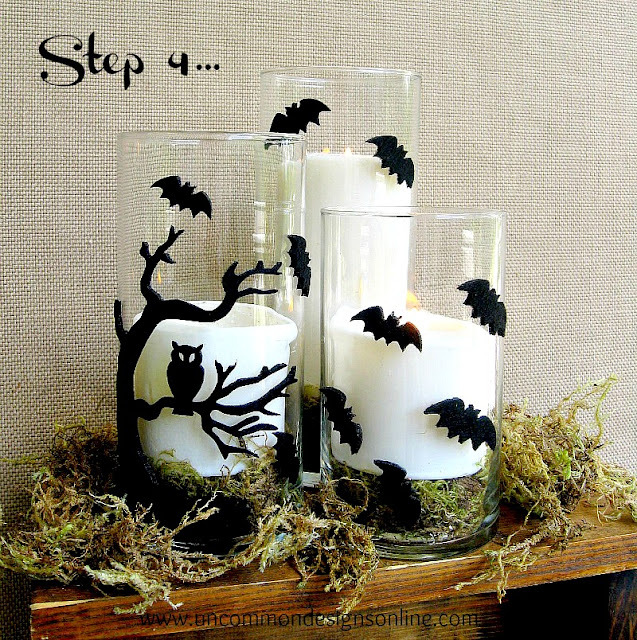 We hope that this has inspired you to get out those decorations! A huge “THANK YOU!” to Katie and Jon for having us today! We would love for you to visit us over at Uncommon! You can also find us on Pinterest, Twitter, and Facebook. Join us each Wednesday for our “Uncommonly Yours” link party!